For any entrepreneur, the word Sequoia is holy. They are the Gods of Silicon Valley venture funding. Their office in Menlo Park is where history is created again and again," says Dhiraj C. Rajaram, Founder Chairman and CEO of data and analytics company Mu Sigma. It is common to hear a CEO sing praises about the venture or private equity firm that has backed him but Sequoia manages to evoke more - a near reverence for its iconic status. It is the firm which has a history of funding Apple, Google, YouTube and LinkedIn. Rajaram's reaction is even more surprising because at his first brush with Sequoia three years ago, he was disappointed. "They were not sure that the Mu Sigma model would scale up," he says. He still kept in touch with Shailendra Singh, now Managing Director at Sequoia Capital India. "Each time there was a scale up data point, we would share it with them," Rajaram says. Sure enough Sequoia invested in the analytics company in June 2011. 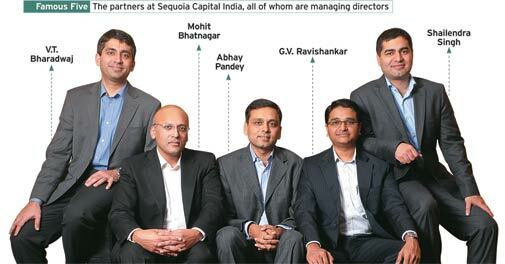 Sequoia's hands-on engagement with its portfolio companies makes it a crowd-puller of sorts in India. The firm has in-house specialists in marketing, legal and recruiting areas, pitching in with detailed advice on branding to hiring the next CEO. "The professionals in the portfolio services team come with 10 to 15 years experience in their respective verticals and they support our companies in their areas of expertise," says Abhay Pandey, Managing Director of Sequoia Capital India. The company has also retained two law firms. One helps portfolio companies clean up their documents - something that most early-stage entrepreneurs find difficult, while the other helps them with compliance-related work. Plus, help with business strategy, ever-important client introductions and 'go to market' plans are always at hand. Sequoia introduced Rajaram to online retailer Zappos even before investing in his company; Zappos is a customer today. "If you want the highest price, then perhaps we are not the right partner for you. Many of our portfolio companies have come to us at 10 to 20 per cent lower valuations," says G.V. Ravishankar, MD and one of Sequoia Capital India's five partners. Some in the venture industry say Sequoia's prolific investment record - it has over 50 portfolio companies - is driven by a "spray and pray" approach. In fact, there is more method than such cynicism warrants. However, there have been a few learnings along the way. "We have made mistakes in the past and hopefully learnt from them," says Pandey. That means the fund now avoids investing in companies that are part of large businesses or family groups, which ends up with low involvement from the parent entity or in teams that have other distractions. SKS Microfinance seems to be one such contentious call made by the team. "It is not a new fund, but yes there is a renewed focus," says partner Ravishankar of the remaining team. There has been what the partners call a "tweak" in the strategy with a focus on venture, early stage and growth investments in a smaller band of sectors. "The intention is not to spread oneself too thin. The key is to keep the list short and build expectations," adds Ravishankar. MD Pandey says investments in public companies will be in exceptional cases of "opportunities provided by market dislocation". As entrepreneurship in India bursts out of the charts, ideas are not as much at a premium as execution. That is where Sequoia wants to make a difference. "We want to be beyond mere providers of capital. We want to invest in high quality entrepreneurs, good businesses which are capital light and which have good cash flows and the ability to sustain," says Ravishankar. The weight of its history is egging the Sequoia Capital partners in India to craft a similar India track record. But it is not fazing anyone. "No question we wish to replicate that success, perhaps to a different order of magnitude," says partner and MD Mohit Bhatnagar. It is a tough track record that the India fund has to live up to.